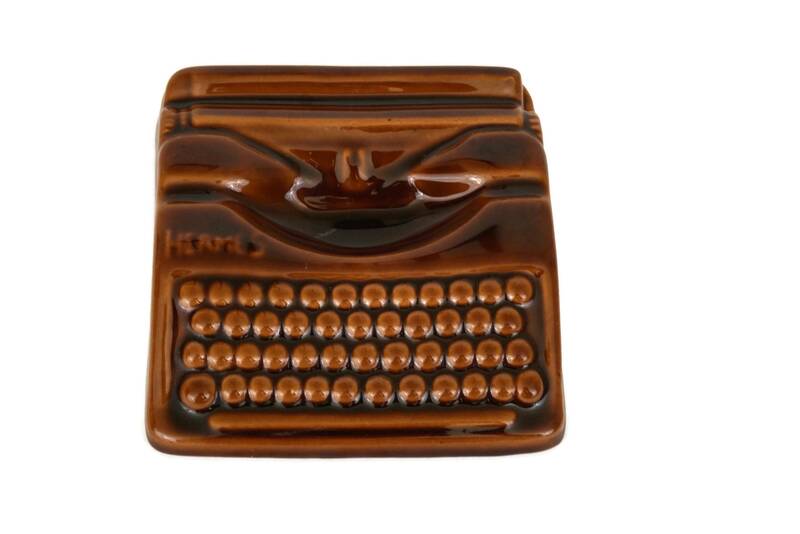 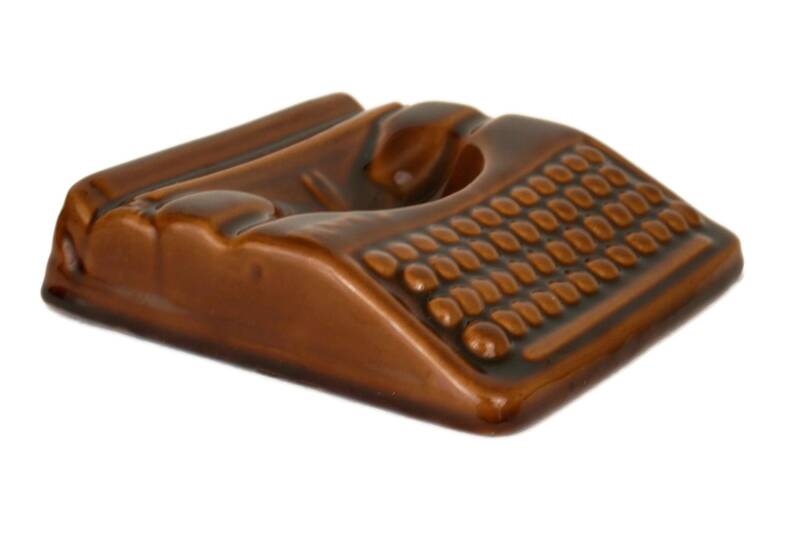 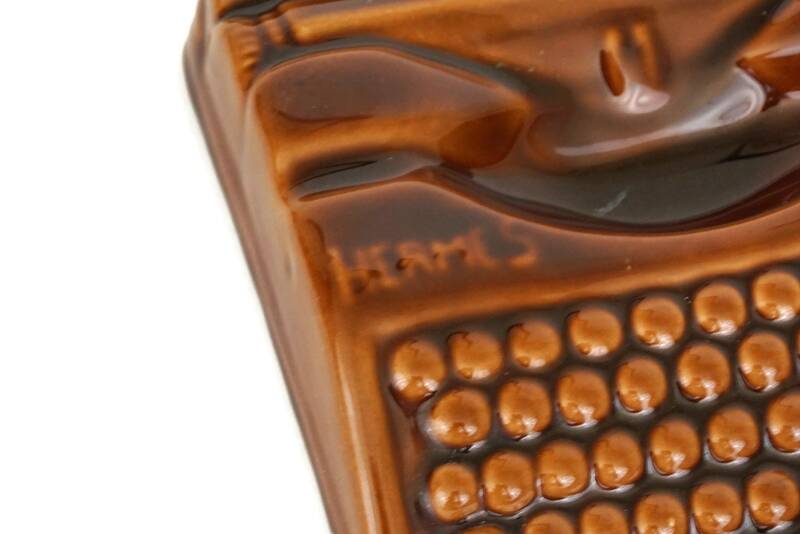 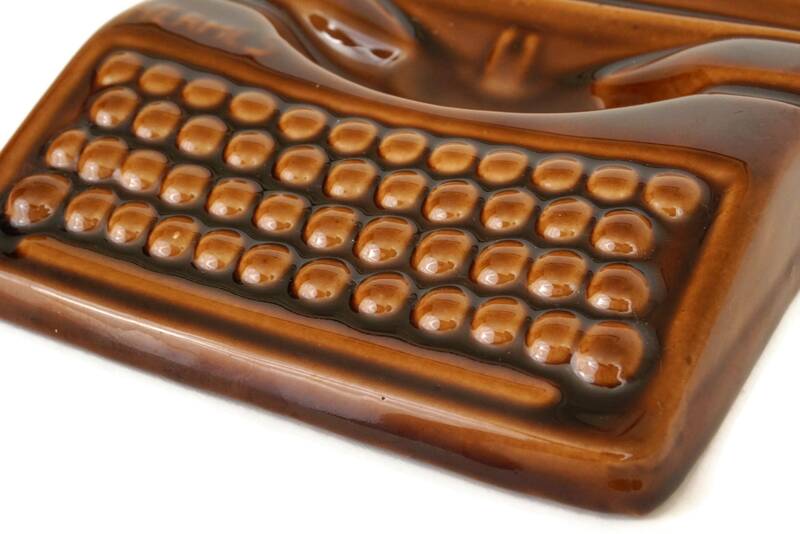 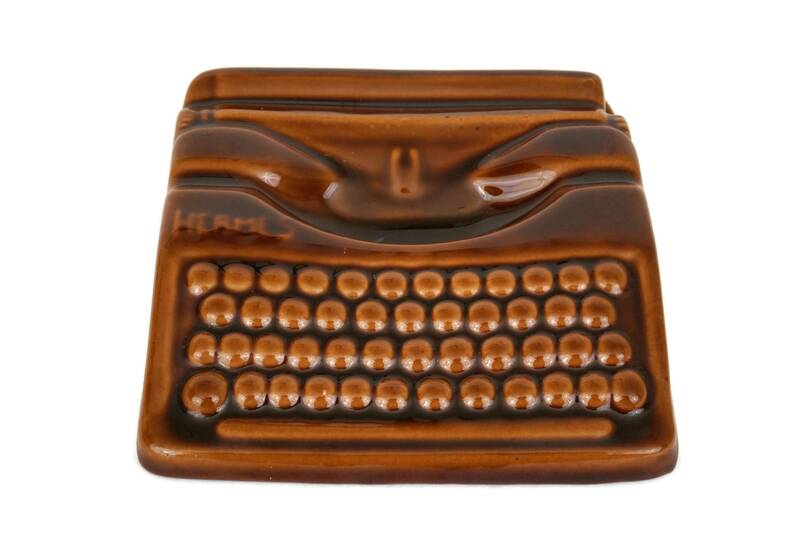 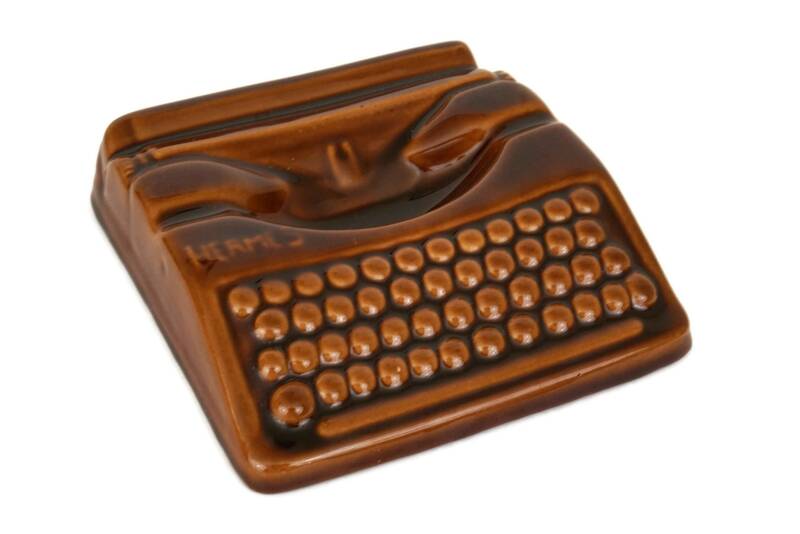 A stylish vintage French coin dish created in the form of an iconic Hermes typewriter. 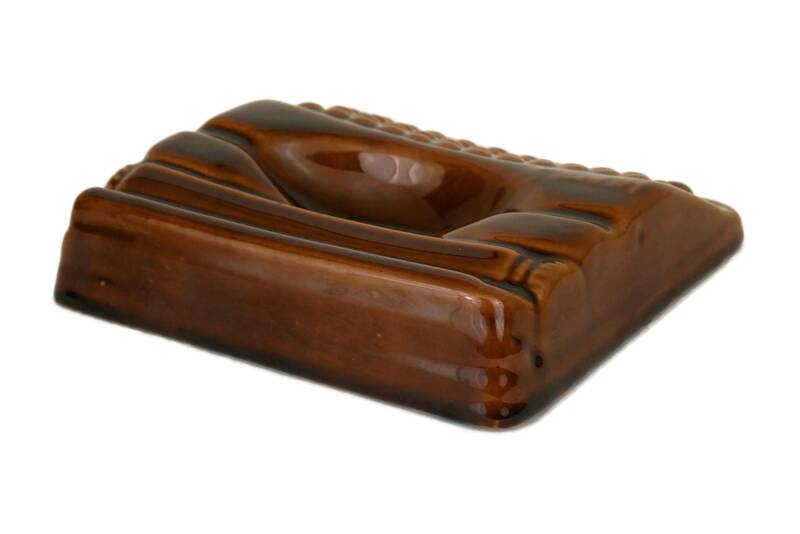 It dates to the mid century and is manufactured from glazed ceramic in a rich shade of golden brown. 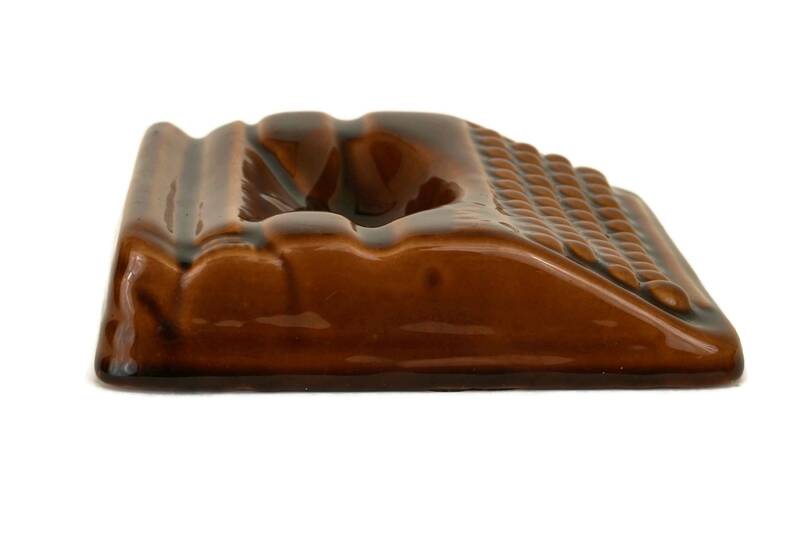 The catchall tray has been branded with the Hermes name on the left corner. 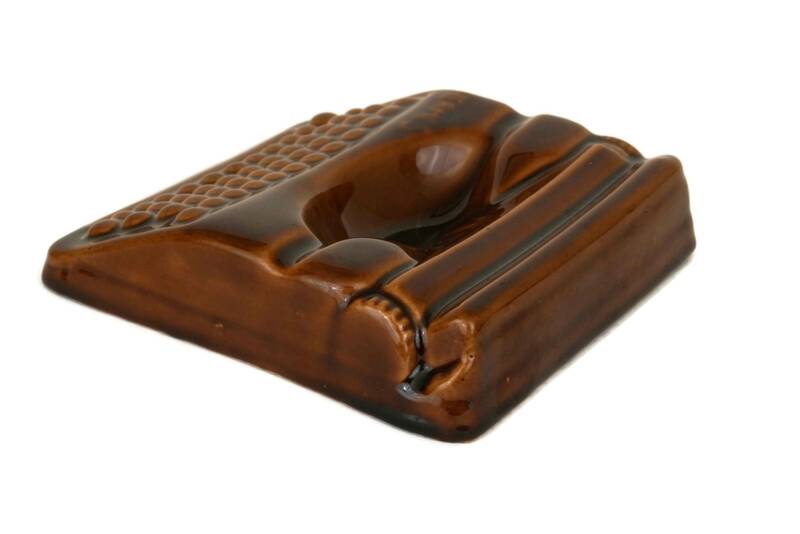 (13 cm x 14 cm). 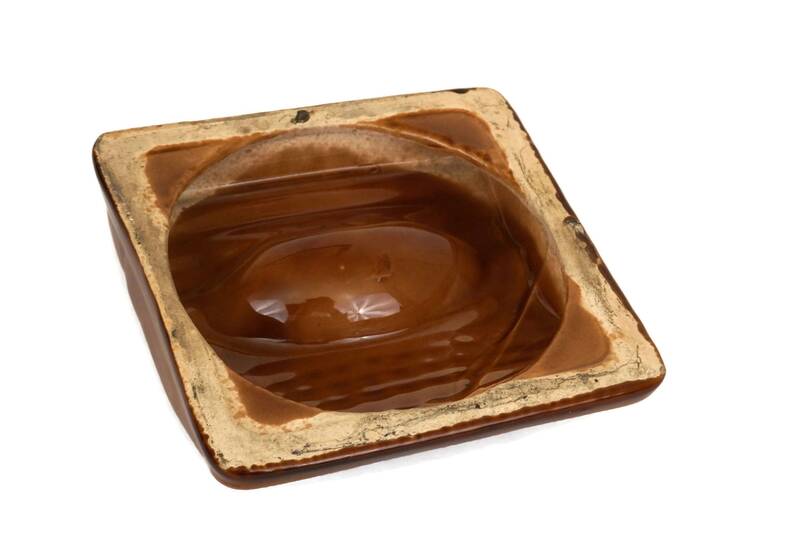 The vintage typewriter coin dish is in excellent condition with light wear.